I definitely intend to research and hopefully even contribute to Waffle in the future. Debug in the APK context means the code is not signed with a key, so you need to enable installation of such packages in the Android Settings menu. The code is compiled with optimizations, but do not expect anything above single-digit frames per second presently. Optimization is something I'm working towards, but the fact remains that many of the current generation devices simply do not have the GPU horsepower to run the game at an acceptable (greater than or equal to 30 fps) rate. Memory is another major killer; you need as much as possible available. 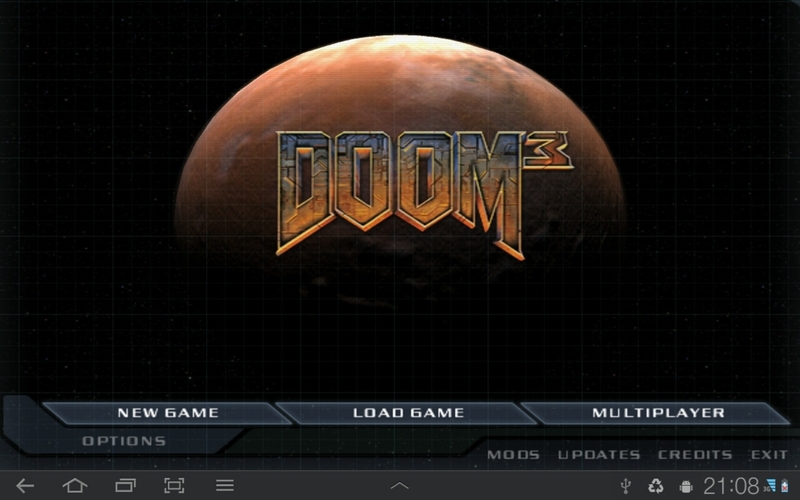 Currently the Dante icon will launch the Doom 3 game to the main menu. However, at least on my device it's not possible to launch the single-player campaign (aka game/mars_city1) due to memory requirements. Again, this is something that will be improved in the future. 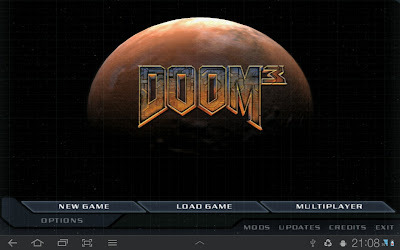 You need to make the directory and copy your Doom 3 *.pk4 files into /sdcard/Android/data/com.game.dante/base from your CDs or DVD. 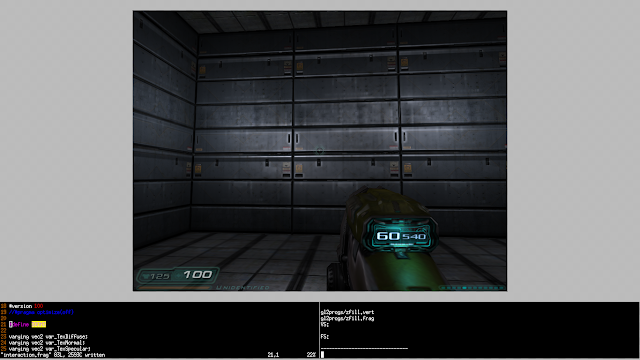 You must also copy pak000_gl2progs.pk4 into the same directory otherwise the game will not run! 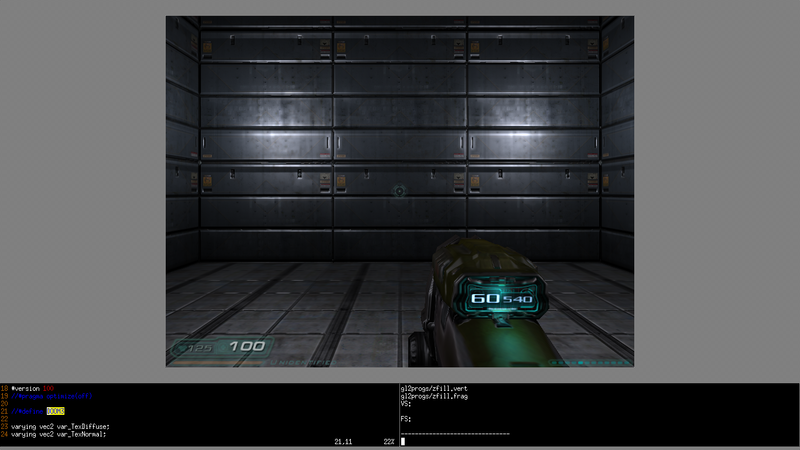 This file contains the GLSL shaders required by Dante. The APK package is not guaranteed to run on your specific device. You're welcome to file a issue about it on Github but please check for duplicates first. It's also not my fault if the APK destroys your device, kills your kitten, or causes the Mayan Apocalypse. I'll write up some detailed instructions for compiling and installing Dante on Android later this week or early next week for those who wish to do this or don't trust installing my APK package. With much thanks to Krzysztof 'kkszysiu' Klinikowski we now have mostly working support for Android devices in Dante. That is to say, the code is there, the build scripts are there, but it's still not an easy process for the user to build their own Dante.apk package for their phone/tablet. I am considering writing a detailed how-to guide on setting up the Android SDK and NDK, creating the standalone toolchain, and running the build. It's not really difficult, it's just tedious to execute all of the commands required for the Android build. I have shell scripts which do most (but not all) of the work checked into Git, however you still need to know how to use them, how to modify them to point to your NDK and standalone toolchain, and finally how to transfer the Doom 3 media assets onto your device. Right now the process is definitely not very easy nor streamlined. We are not yet at a point where this is user friendly! You're welcome to visit us in the #dante IRC channel on irc.freenode.net if you really want to build your own packages, get involved in the development, or just see what's happening in real-time. Okay, this is a free-time project, so you may have to idle a bit and the channel is not always active. Performance is currently bad. I am aware of this and it's something we're working on improving in various ways. It's unlikely to happen overnight. Audio support currently does not exist, though progress is being made in this area. You can see the bugs and planned enhancements/features on Dante's Github Issue Tracker. I have decided to rename my Doom 3 repository (aka "idTech4 ES2.0", aka "Oliver's Doom", aka "omcfadde's Doom", ...) to an easier to remember name. Going forward, the repository will be named "Dante" (based on Dante's Inferno and it's fitting description of the Doom 3 game.) Dante journeyed through Hell, guided by the Roman poet Virgil. Hopefully this will make it much easier to uniquely and easily identify my repository. Unfortunately for those of you who already have clones of the idtech4 repository from Github, you will need to adjust the remote origin to point to the new address. I apologize for any inconvenience. Without going into the technical and implementation details of each shading algorithms I would like to request comments from people as to which you prefer visually. Unmodified Doom 3 uses the Blinn-Phong shading model, which is an approximation of the more computationally expensive Phong shading model. Both images are using a fixed exponent of 16.0f, however it's possible to adjust the exponent based on material type in both shading models. Currently, this is not done. Please note that some tuning of the exponent may be required for the Phong model due differences in lighting calculation.